The asking price for this next pile of parts seems a bit high, but I still like it. Does that make me insane? Is the sun really yellow? 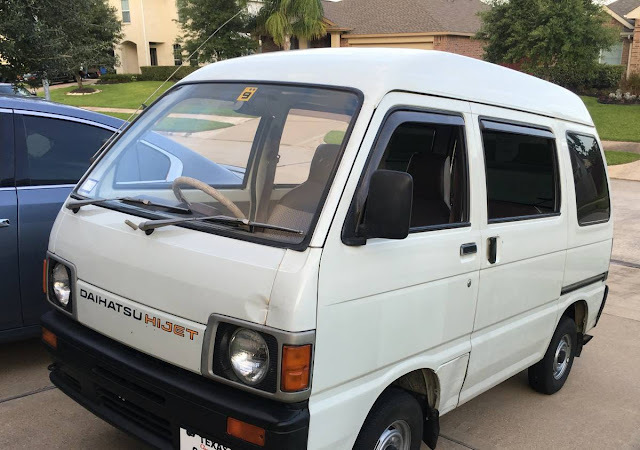 Find this 1990 Daihatsu Hijet offered for $6,900 in Houston, TX via craigslist. Tip from Jeff. 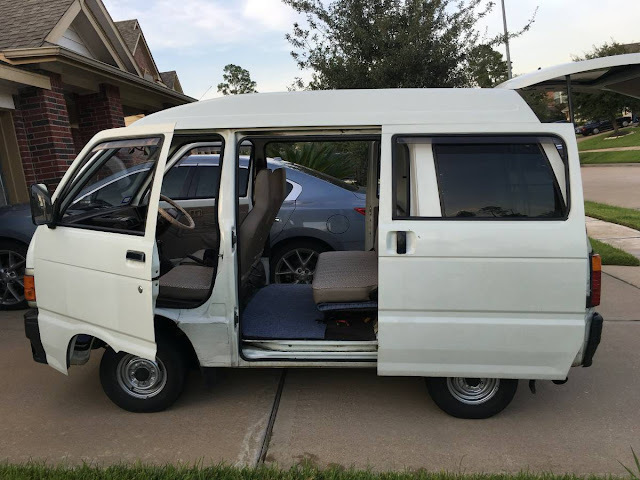 The Daihatsu HiJet is Japanese built micro van that has been a solid entry to the Kei-truck scene since 1960. The little vans might not be able to reach highway speeds, but they are known for being great city transportation and are almost cool enough to be collectible. This one is dinged up, but looks ready for your commute and an occasional Friday evening car show. I thought those pics looked like good ol' Spring, TX. Never seen that van before. Pretty cool.